I seem to be making a lot of tile and wood textures lately, so I thought I would venture out of the norm and do some carpet instead. This is the result. The striped carpet has a subtle ribbed texture which reminds me very much of tight carpet pile. To be honest, I wasn't entirely sure of these when I finished, but once I saw them in-game I was pleased. I hope you are too. Included: 50 Color Variations. A Collection File/Custom Icon. Category->Floor->Carpets. Cost-> $2. Swatch included below for reference. Happy Simming. I originally made these floors for Sims 2 a decade ago. However, I thought it was time to dig them out and a give them an overhaul. I have kept the original 7 colors and added a lot more. Fifty floors in total! I have also provided a swatch in the screenshots below for your reference and a collection file has been included within the download. I hope you enjoy using them. Category->Flooring->Wood. Cost->$2 The files included will not overwrite the previous version, so it is best to remove them prior to installing these. Day off today - Yippee. You know what that means, time to make some CC. Square Tile Flooring in 46 colors complete with contrasting white grout. I have used my usual colors, so these tiles will match with quite a number of my wall sets. Collection file included making it a little easier to find in-game. Hope you enjoy. This set is also available for TS4 here. As before this is a custom texture made by me. If you have any issues or problems, please leave a comment below. Happy Simming. Taking a break from uploading old CC to make new CC. Yippee. I've already released this set for TS4, now working on the TS2 version. 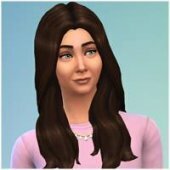 The TS3 version will likely be released as a pattern. Two days off work. Woohoo! Wow, I cannot believe its 2018! 2017 went in so quickly and I haven't achieved half of what I set out to do. Real life has a way of screwing you over whenever it gets the chance. I hope that a new year will see me hit the goals I missed. With that said, despite now working full-time, I have begun simming again. Nothing major at the moment. Most of what I will be doing is updating old CC, fixing broken links on the site and releasing content I made last year but didn't get around to uploading. 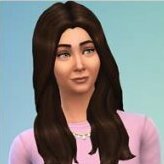 I am also in the process of uploading all my CC to ModtheSims to make it more accessible should it for any reason be unavailable here. However, it will always be released her first, then likely appear there a few days later. It has been months since I last posted. I didn't expect to be so busy with other areas of my working/personal life. Writing my debut novel, book one in 'The Evolved Series' and dealing with the many other aspects that go along with that has taken me away from creating any new content. I am hopeful that at some point soon, I will be able to find time to upload the content I have already completed. Fingers crossed. I do not imagine it will be this month. I still have a large amount of work to complete before the end of July. Sorry, this is such a short post. Back to work.